Properties in Osaka average 4.1 out of 5 stars. Nearby Osaka Umeda! 4min walk to sta. Property 9: Nearby Osaka Umeda! 4min walk to sta. 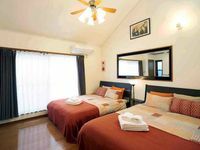 H # 66 Only 7 minutes walk from Namba Station.It is a comfortable room with easy access within walking distance to Dotonbori Shinsaibashi. Property 17: H # 66 Only 7 minutes walk from Namba Station.It is a comfortable room with easy access within walking distance to Dotonbori Shinsaibashi. Property 24: 51Doutonbori 2 mins,nearby Namba! Property 31: Designers Condo5min to subway. Guesthouse Chiharu!It is within a 10-minute walk from JR Teradamachi Station! Property 32: Guesthouse Chiharu!It is within a 10-minute walk from JR Teradamachi Station! C#5 Best Location! 5 mins to Namba Sta. Property 40: C#5 Best Location! 5 mins to Namba Sta. 70m 2+ ★ Kuromon Mkt. Walking dist. ★ Subway 2 min. ★ Dotonbori 10 min./ Umeda 15 min. Property 47: 70m 2+ ★ Kuromon Mkt. Walking dist. ★ Subway 2 min. ★ Dotonbori 10 min./ Umeda 15 min. Definitely a great house! Excellent location in an extremely nice and helpful neighbourhood, which came handy as we got lost when we arrived. But after we learnt our way around we found it an excellent place to stay. Close to places to eat, convenience shops, metro stations and shopping areas. It was very clean and well equipped, the host was very friendly and nice and gave us a lot of good tips to move around, eat, shop, everything. The house has a lot of room and it is very comfortable. It is excellent value for your money. We would certainly return and highly recommend it to travellers. Great place in Osaka! 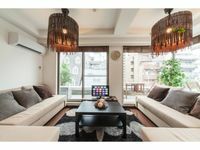 Great location between 2 subway lines (not ideal for those using JR rail pass though) and a short walk to shopping area. Has everything you need. There are 2 large sofa-beds in the main area, one could be changed to a table as there is no where to sit and eat. It would still sleep 6 which is the most you should have in that size apartment.